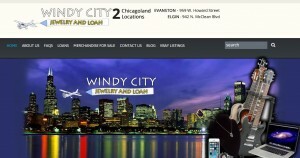 Windy City Jewelry and Loan address, phone, website, hours of operation, and more. 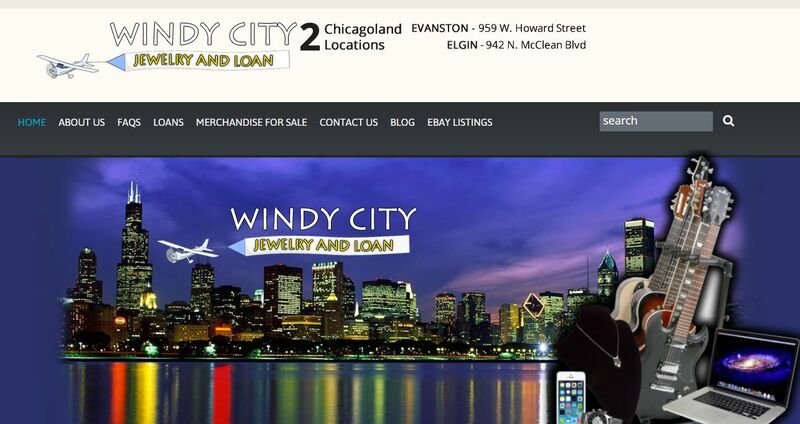 Windy City Jewelry and Loan is an Evanston pawn shop with a long history of buying and selling high quality items and providing collateral loans for cash. If you need cash fast, Windy City Jewelry and Loan is determined to help. As one of the oldest pawn-brokers in Evanston and the North Chicago area, we buy and sell quality items and offer immediate cash loans. Windy City Jewelry and Loan has earned the respect and trust of Chicagoland customers over our decades of service as a fully licensed, bonded and insured Evanston pawnshop. Throughout our years of offering collateral loans as well as buying and selling jewelry and electronics, we gained membership to both the Illinois Pawnbroker Association and the National Pawnbroker Association. We pride ourselves on providing the best experience for our customers. Rather than going to a payday or title loan company, contact Windy City Jewelry and Loan to pay half of what you would elsewhere. Furthermore, you can be confident that your credit will be safe no matter what. We take care of our customers and treat them with the utmost attention and respect.